More dice. More non-combat, non-walking around immersion. that is my goal. Dice is actually a pretty well done mini-game. Problem is you can’t play more than a couple hands, maybe three, on any given night. Anyone remember KOTOR pazaak? A game unto itself with many players. Want to be a high roller? Too bad. You must settle for bob and his 20 groschen, and he may even leave after the first hand regardless. I want more mini-games. More time spent at a tavern for reasons other than talking to myself trying to role-play. For all the (wonderful) immersion available in the visual environment there is a stark lack of immersion in the day to day interaction with NPCs. More accessible mini-games can provide some of that. he may even leave after the first hand regardless. “may” ? always for me! The only way to get them to stay is to lose. need more “fish” for my rolling perk and 6 lucky dice! Some inns/taverns don’t even have a board or players! Not to mention that making more people interested in playing dice would be fully within lore. People love to gamble! NPCs should have a budget that is low for initial willingness to bet but increasing in willingness, maybe even with a drinking mechanic. I’m getting ambitious here I know but as it stands today you have to wonder why innkeepers even have a dice table given the few games played at it every night. I made my own set of dice and play with friends and family… best part of the game. 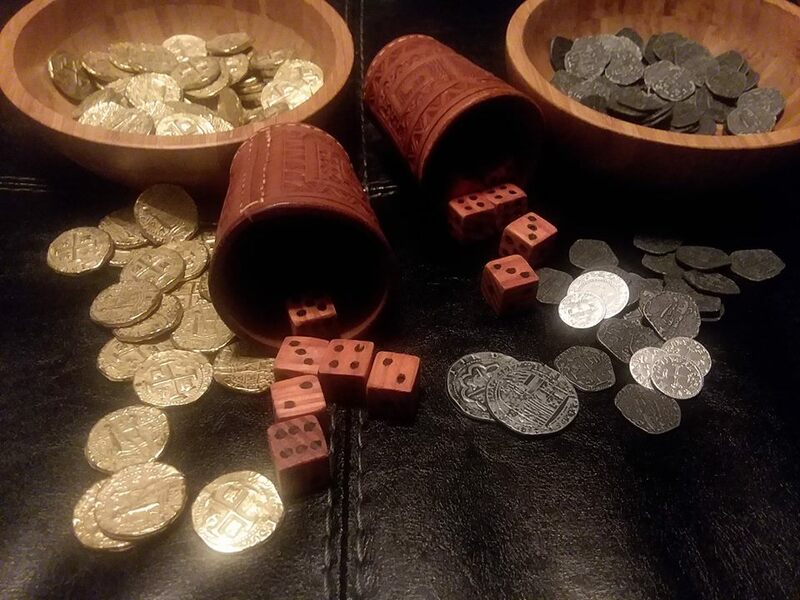 A “3 dice game.” The first player rolls until he rolls a pair, then he re-rolls the third die. The points on all three dice are then totaled, highest score wins. Wilkins calls raffle “a three-dice game that might be considered the ancestor of the modern slot machine” (p.114). 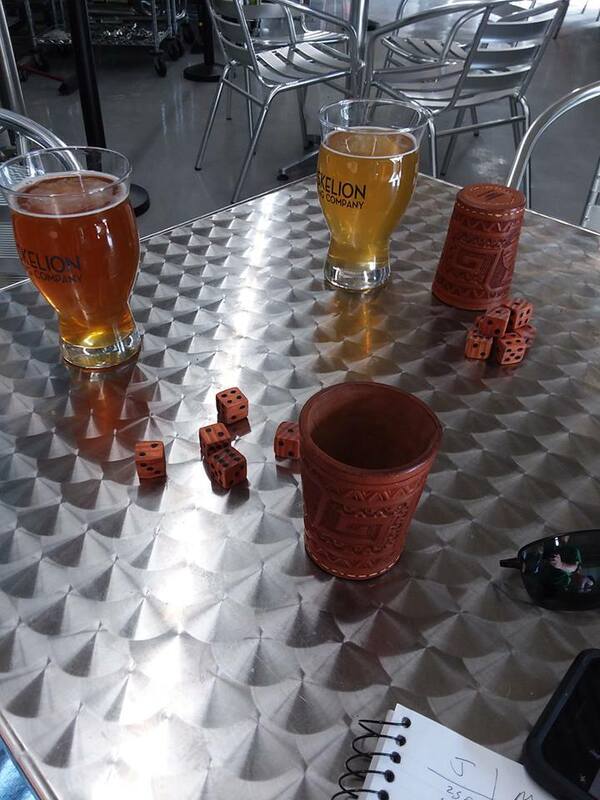 To play raffle, all that’s needed is three dice. The object of the game is for players to take turns rolling the dice until a player gets all three dice to come up with the same number. A “3 dice game.” Each player rolls the other players “nick” with three dice (a total between 7 and 14). Then each player in turn rolls to try an get his own “nick” to win, but if he rolls his opponent’s “nick” he loses. Players first cast three dice to decide who rolls first (highest total wins). If a player rolls a pair and an ace (one) he wins, and if not his opponent tries. The first to roll a combination of pair with an ace wins. the last person remaining who has not thrown an Out. The stakes can be raised at any time by mutual agreement of the remaining players. If all players should roll Outs on the first time around the table, no one wins, and the game is replayed. This is a two-player game and the players agree at the beginning of the game to use one, two, or three dice. The game takes place on a checkers, or chessboard with one player taking the white squares, and the other the black squares. In order to count, a die must land on the player’s color with no portion of the die trespassing on any of the opponent’s squares. Only dice that land entirely within your own color are scored. The scores on legal throws are totaled, and the first player to reach 101 points wins. The in game dice textures should be way higher. The amount of time I am excited for 'three “ones” ’ only to turn out to be a bust… cause the mid distance graphics are so weak. The close up shows but if my girlfriends eyes are quick enough to tally from the mid distance screen- then let the graphics show us the numbers. Presently they look borderline… and can only sometimes make out the correct numbers. I can only get them to play one hand before they walk away, however regarding the gambling grochen amount I believe I’ve learned that the more you win (possibly need to have won the last game you played even) the more you are able to bet. I’ve been offered pretty high amounts. Sweetness! How did you make them, or get ?